At any given time there’s always a certain percentage of Americans looking to buy a house, and if you’re one of them we warn you: if you want a single-family home (as opposed to a condominium or townhouse where you and your neighbors share ownership of walls, roofs and other structures) avoid any real-estate purchase that requires you to join a homeowners’ association, or HOA. The Platonic ideal of the HOA is a group of community-minded property owners getting together to maintain and manage any commonly owned property — which is why avoiding an HOA, co-op board or any equivalent is impossible if you’re buying a condo. In developments of single-family homes, an HOA might oversee community playgrounds or swimming pools — but can also dictate everything from what color you paint your house to what plants you grow in your yard, and everything in between. Defenders and supporters of HOAs will say such rules are necessary to prevent neighbors from turning their homes into auto junkyards, or using outhouses in lieu of sewers. Of course, most municipal building and zoning codes already outlaw such behaviors regardless of HOAs. The nastier and pettier HOAs prefer to stamp out behaviors like toddlers who make chalk sidewalk drawings, or residents who put up the wrong sort of Christmas lights. A viewer contacted us and showed us a picture a woman who received a letter from her HOA stating she had to take her outdoor decorations down, because she put them up too early. We found out it's actually a rather common rule to have set dates when holiday decorations are allowed, even though not everyone thinks these rules are fair. In Emmens Preserve, "the HOA rule, as I understand it, is we are not allowed to put up lights before November 30th," said Joe Hope. At the Bay Pointe Apartment Complex, "we can't really put our lights up until December 1," said Daymuion Wilson. There really are people who find unseasonable holiday lighting such a threat, they seek to actually ban it. An Emmons Preserve resident said the HOA rule is “a good idea, that way it keeps people from having their lights up until May." 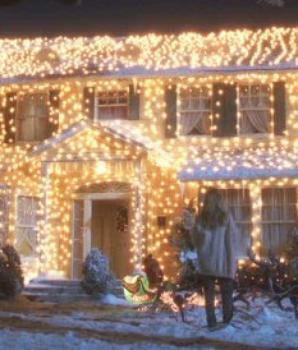 He did not say what harm would befall him if small outdoor lights on a neighbor’s home did stay up that long. Elsewhere in South Carolina, the Moultrie News had a more cheerful tale to tell: after many months of frustraingly hard work, members of a local homeowners’ association finally succeeded in making some long-desired changes to their HOA’s rules and covenants. But rogue holiday decorations and driveways with cars in them aren’t the only threat HOAs stamp out. 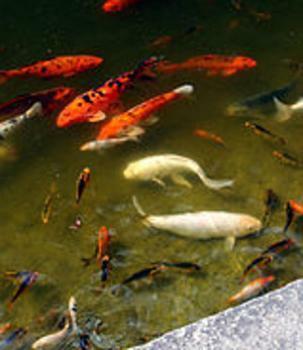 In Newport News, Va., the Villages of Kiln Creek Owners Association is suing homeowners Bill and Janeth Garlette for $300,000 over an eight-year-old backyard koi pond. As WVEC news reports, Garlette built the pond eight years ago and the HOA approved it every year since then—until last summer. The most recent "OK" came in July. Within a month, however, he'd received a letter from the Association outlining more than two dozen violations - some related to the pond and others like excessive debris and bushes and trees that need to be trimmed. The Association also claims Garlette harassed and intimidated association officials and threatened bodily harm. Garlette believes he was targeted after a neighbor started complaining about his property. So he ripped out anything up that could be construed as a violation. That only led to more accusations. "They have continued to say I'm burying toxic waste. I'm threatening to kill persons and there are all these things. They had police stationed at the HOA office because they felt threatened from me," says Garlette. We’re not environmental lawyers, but we’d think that if a man really were burying toxic waste in his suburban backyard, that would be very easy for any HOA to prove—and there’d be no shortage of state and federal government officials eager to prosecute that man as a result. WVEC mentioned that a judge had already dismissed one neighbor's claim against Garlette. A majority of titleholders want to abandon our present homeowners association. Several thousand homes were to be built in our new subdivision, but fewer than 60 have been purchased. …. When we purchased our homes, we asked to see the association's governing documents, rules and covenants, conditions and restrictions; nothing made sense to us. Had we understood what a developer-controlled association meant, most of us would not have purchased our homes here. Recently we received notice of a dues increase and were told part of it is retroactive to April 1, 2012. We are being charged for many common area things that the association is not taking care of. … We don't know what's going on because the board is non-responsive. Does the board have a legal right to keep increasing dues? The LA Times’ response started out by saying “This is a terrible situation with little viable redress for owners,” and grew steadily more discouraging from there.